Thinking about making a career change? It’s not just an opportunity to find more satisfying work, it’s an opportunity to learn more about yourself and your potential. Our guest, Jeff Hittner, wants to help you make the most of your career change. He’s somewhere of an expert, making significant changes in his career 7 times. 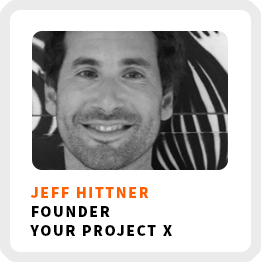 Jeff founded Your Project X as a way to help people rediscover their passions when they are seeking a change in their work. Want to change up your career? Join one of Jeff’s upcoming career adventures! This May, he’s launching a first-of-its-kind entrepreneurial venture where you create and launch a REAL impact-focused business with global leaders, a project spanning the US and Guatemala. The goal? To get the participants outside their comfort zones and learn by doing as they go through all the steps of launching a venture – design thinking and prototyping, communications, consulting, marketing and supply chain strategy – while having an adventure of a lifetime in Guatemala! If you want to make a career change, there are more ways to go about it than you might think. Why life skills are more important than ever. Identifying and dealing with your psychological ghosts by writing a letter to them. How studying abroad reframed his worldview. Thinking about surrounding yourself with like-hearted people and not just like-minded people. What a recent near-death experience taught him about acceptance. Wake up time: When his son starts crying. Definition of success: That he’s the dad he wants to be, that he’s the spouse he wants to be, that he’s making an impact in at least a few people’s lives every week and that he can sustain the life he wants for himself and his family. Gets unsuck by: Talking with his wife, meditating and reaching out to his diverse network of mentors. 90-day goal: To sell out his two upcoming career change programs. 1) Sunday nights and Monday mornings give you the heebie-jeebies. 2) Realizing that your workday doesn’t align with your purpose, like being at a desk for too much of your waking hours. 3) Needing distractions like social media during your working time. Here’s the space where Jeff was located when I interviewed him. 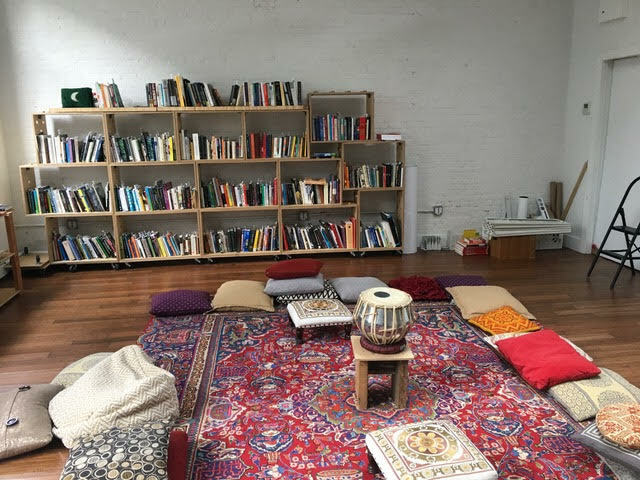 I think all workspaces should look more like this, so I wanted to share with you!